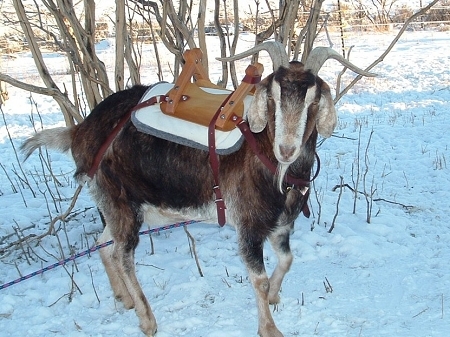 The utilitarian goat packsaddle. Based on the design used by serious hobbyists and commercial outfitters for over 30 years. Simple, durable, and extremely effective. Prior to our producing it, the original packsaddle sold for $175 or more.The original goat packsaddle features 12" sideboards and heavy duty oak crossbucks for maximum durability. The saddle frame is built from oak and poplar. It comes with a heavy duty wool-felt-lined cinch, top quality latigo rump strap, latigo breast strap, and latigo cinch system. All steel hardware.